We have a very diverse portfolio of clients. We build mobile friendly, customised websites focusing on Search Engine Optimisation. We can be hired by any type or size company to help them grow. You are viewing the mobile version of our portfolio with only recent projects. The full portfolio can be seen when viewing on a desktop. Multi-Award winning hair stylist and ITV resident expert. We had great fun working with Leo in developing a replacement website with additional SEO and a new custom design. We added a live messenger capability and integrated booking system. We also empowered customers to purchase his TESCO's range of products. Jim Ebdon is a professional front of house Sound Engineer currently touring with Sam Smith. The website is for show casing his resume and equipment used. JT Plumbing and Heating is a growing local business based in Walton. The website is tied to their superb Checkatrade account to show case their work and attract new clients through SEO and new portfolio of their work. We delivered a new website to replace their old Vistaprint website. Their stunning products feature in a new ecommerce custom design with customers able to send their designs via the website. 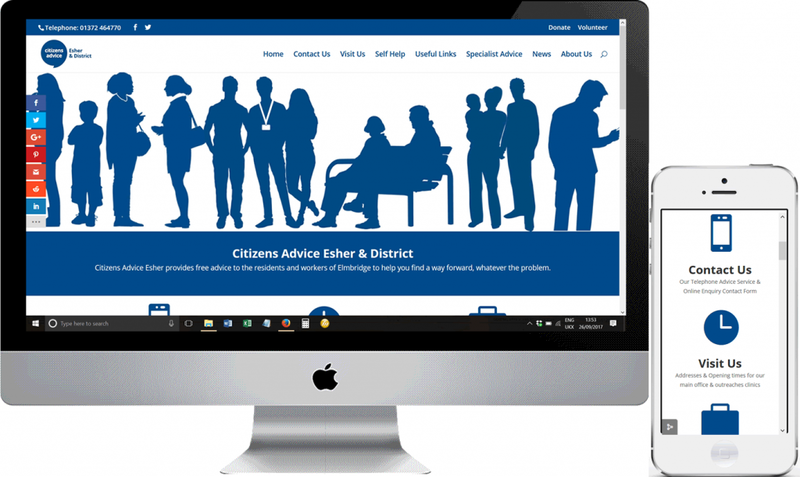 We were trusted in delivering a bespoke website that served as a gateway to local advice services and details on the bureau, but that also met the requirements of the national advice service guidelines. One of four websites we built for the same client. This ecommerce website features a custom design and is mobile friendly (like all our websites). We also trained the team to add new products. It ranks first place on Google. A replacement website for a family run business. The company installs data networks and wi-fi access systems. The website ranks on page one in their targeted area of East Midlands. A second website for our client, the first ranked on page 1 of Google. The client decided to move from sales to hire and required a new ecommerce website. Its products rank first on Google. We are currently producing 6 websites, ranging from HR consultants to kiosk manufacturers. We have built over 20 websites in the last year. You can see them all by viewing this page on a desktop. Ring our sales manager Sarah on 07512 443336 | 01932 888619 to discuss your requirements. Our quote always includes Search Engine Optimization, a custom design and 1 years free hosting with security updates. Our quote always includes SEO, custom design and 1 years free hosting.